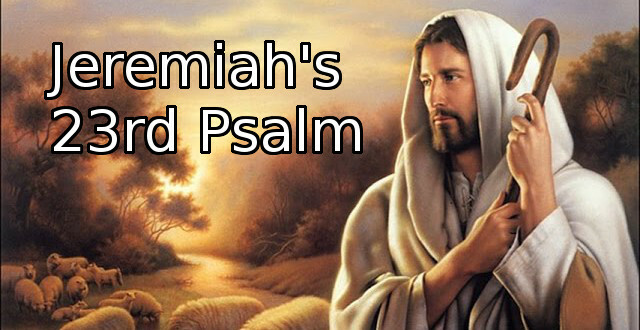 then we’ll see Jeremiah’s use of it in his prophetic book. tree thou wanderest, playing the harlot” (Jeremiah 2:20). cities are thy gods, O Judah” (Jeremiah 2:28). come no more unto thee” (Jeremiah 2:31). will I go” (Jeremiah 2:25). that no man passed through, and where no man dwelt” (Jeremiah 2:6)? Is the Lord your shepherd? Do you trust Him to lead you to the living waters and the green pastures?